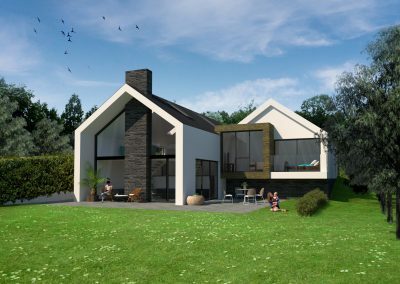 This split-level house follows the contours of its sloped site and opens up towards a beautiful valley view in the distance. 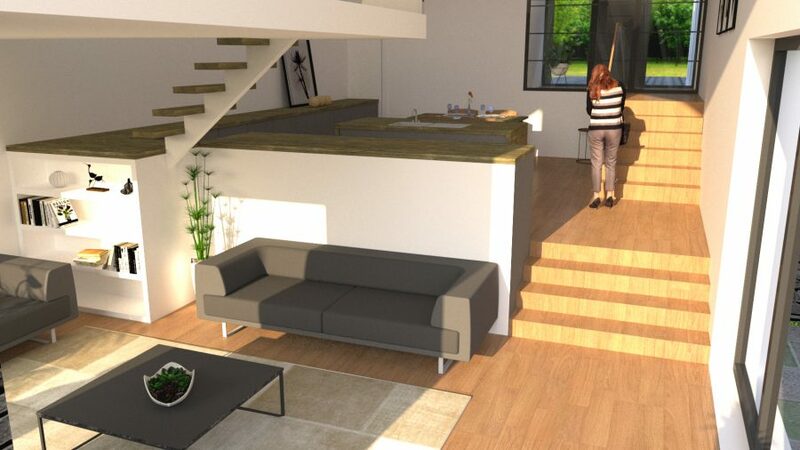 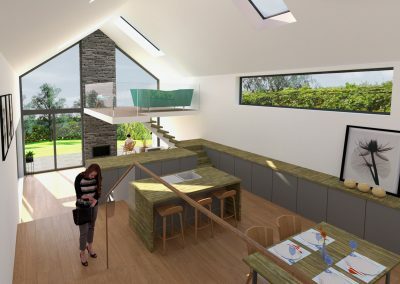 The design of the house combines both traditional and contemporary elements. 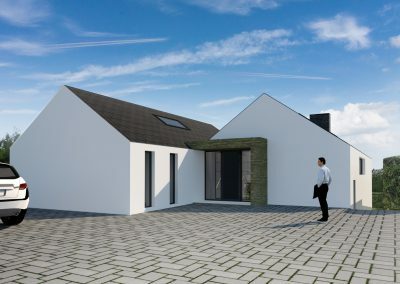 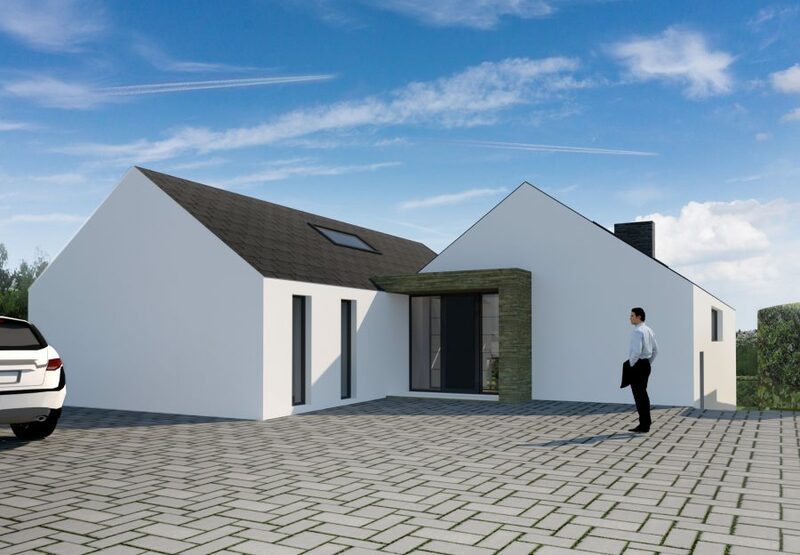 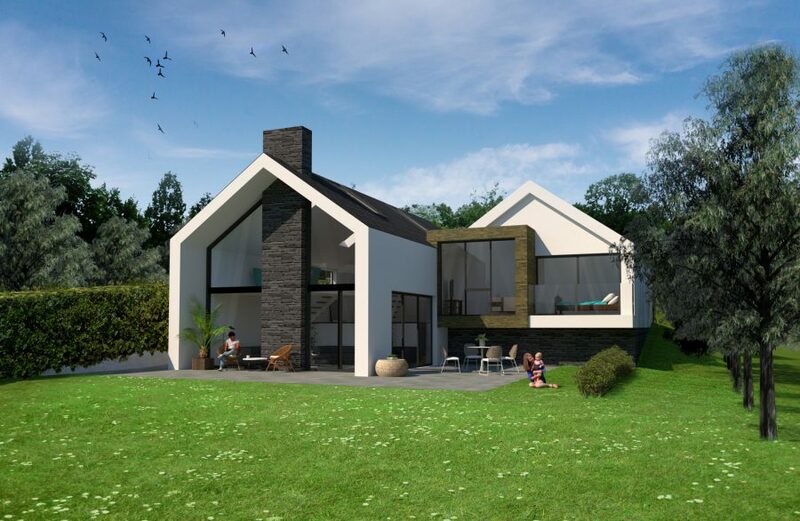 It employs aspects of traditional Irish bungalow design to the front of the house which compliments its semi-rural location, while adopting a more contemporary approach towards the rear (south-facing) part of the house. 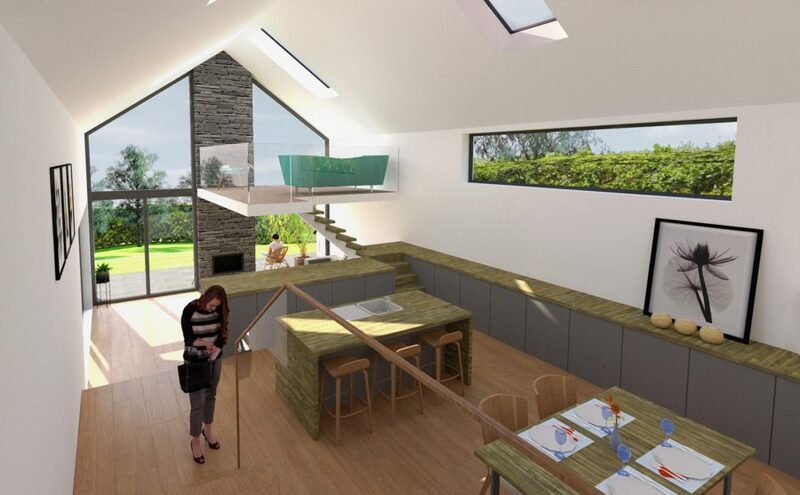 The house steps down with the site as you enter the living space which affords greater height and creates a spacious, contemporary open-plan living area that takes full advantage of the south-facing aspect of the property, as well as offering beautiful views of the valley and providing the house with significant levels of solar gain throughout the day.